Dr Anouk Ride contributed one of many articles on research methodology to the new Springer title: Methodologies in Peace Psychology: Peace Research by Peaceful Means. The article “Involving Participants in Data Analysis” discusses the researcher’s experience with different methodologies in which participants conduct analysis and includes a checklist of things to consider if you are designing participatory research. As it states in the introduction to Methodologies in Peace Psychology its relevance is broader than just psychologists: “Much of the work on peace psychology exhorts researchers to be peaceful but does not provide ideas as to how one might proceed in practice. This book offers a range of creative and sound ideas as to how to go about conducting research with people whose worldview might differ considerably from that of the researchers.” It is available online here: http://www.springer.com/us/book/9783319183947 and at most book resellers. Working for the Ministry of Women, Youth, Children and Family Affairs of the Solomon Islands, Dr Anouk Ride is collaborating with local researchers on the first social marketing research about attitudes to violence against women and girls to be conducted in the Pacific Islands region. The pilot study will be complete in March 2018, and detail messages that are used to reinforce or stop violence against women and girls. What attitudes allow violence to take place unchecked, and what attitudes would support intervention prior to and after violence is the central research question. The research will be conducted with women who have experienced violence, men who have perpetrated violence, and male, female and youth representatives from different communities (in Guadalcanal, Malaita and Temotu provinces). 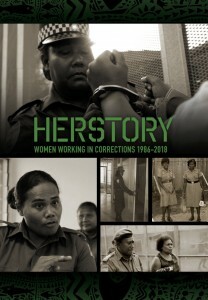 The research is intended to have a practical use – to increase the effectiveness of messages and communications materials, activities and events that the various government, church, women’s organisations, INGOs and refuge services conduct and/or to stimulate new actions that can lead to social change. A review of the previous violence against women policy (2010-2015) found that “greater coordination is required for key messaging” particularly for awareness raising about violence and the Family Protection Act and this research is intended to inform such joint efforts[i]. The report is commissioned by the Ministry of Women, Youth, Children and Family Affairs (MWYCFA) which will be the first to read the report recommendations and then share this with other organisations working on this issue. This project is supported by Oxfam Australia as part of the Safe Families Fund, an initiative funded by the Australian Aid Program aimed at eliminating violence against women in the Solomon Islands. [i] Ministry of Women, Youth, Children and Family Affairs. (2017). National Policy to Eliminate Violence Against Women and Girls 2016-2020 Solomon Islands. Honiara: Solomon Islands Government. pp: 10. 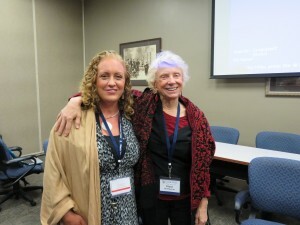 Dr Anouk Ride and Professor Diane Bretherton presented to the Peace Psychology Conference at University of Notre Dame, Indiana, on “Peace Research by Peaceful Means’, each putting forward principles, approaches and examples of doing research in a peaceful way that advances peace in various different contexts. The session drew on chapters from the book “Methodologies in Peace Psychology: Peace Research by Peaceful Means” released in the Springer Peace Psychology series edited by Daniel J. Christie. The significance of community markets, in terms of economic and social benefits and women’s security, has been highlighted in a series of short reports about informal markets in Honiara, Solomon Islands. 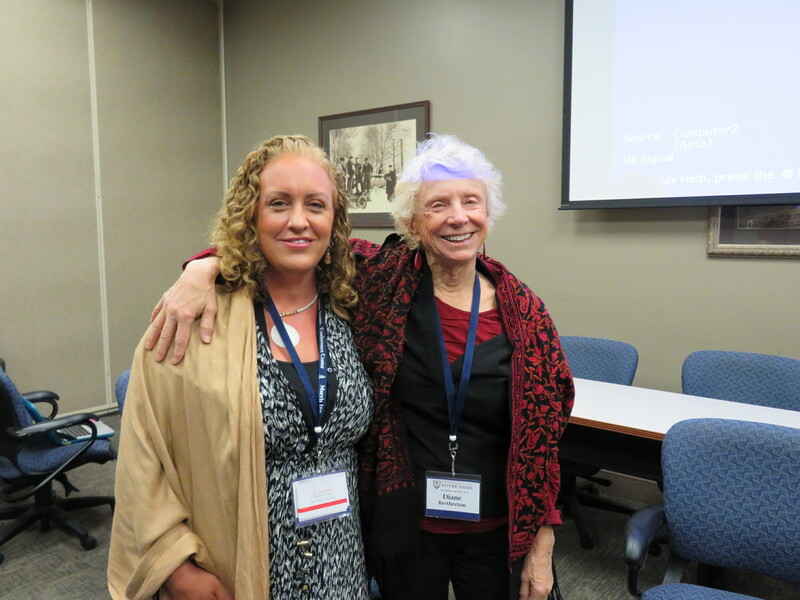 Dr Meg Keen and Dr Anouk Ride recently published three publications in the InBrief series of the Department of Pacific Affairs, Australian National University: an introduction to the research project and one on vendor livelihoods and one on women, security and social inclusion. 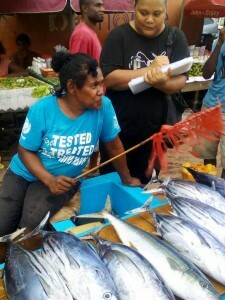 The research is the first to survey roadside food markets to detail the value of the markets, women’s livelihoods and perceptions of security and market management at White River, Henderson and Fishing Village markets. Surveys and focus groups were conducted by a team of local researchers including Dr Anouk Ride, Melinda Ki’i and Miriam Resture. The research was conducted with funding support from by UN Women and the Canadian Fund for Local Initiatives and access permission from the Guadalcanal Provincial Government and Honiara City Council. 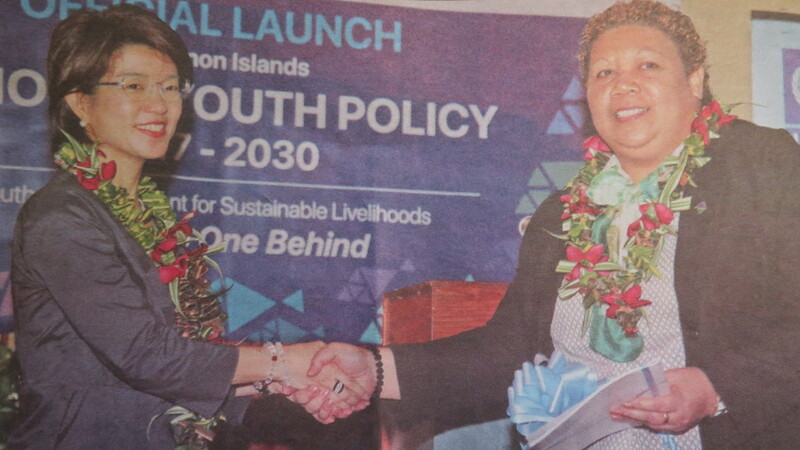 The Solomon Islands Youth Status Report was launched today along with the new National Youth Policy 2017-2030 for Solomon Islands. The Solomon Islands Youth Status Report is a national report on youth participation in development and political processes. While the youth are a signi cant cohort of the population – seven out of 10 Solomon Islanders are under 34 years old – there are several obstacles to youth involvement in work and livelihoods, politics and decision-making. Azusa Kubota UNDP Solomon Islands Country Manager and Minister of Women, Youth, Children, and Family Affairs Freida Tuki jointly launched the report (photo right). Dr Anouk Ride gave an overview of the report to the youth representatives, government staff, visiting former UNDP Head Helen Clark and Solomon Islands Prime Minister Rick Houenipwela. The report was compiled by Dr Ride with the involvement of 28 government and non-government organisations and youth representatives. Dr Anouk Ride was recently engaged as a specialist by the World Bank to conduct gender and social inclusion analysis for their upcoming fisheries projects in Tonga and Kiribati. 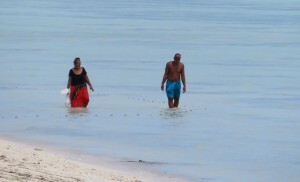 In each of these locations, while women collect the majority of seafood from coastal areas for family consumption (a practice referred to as gleaning), they are often excluded from participation in catch and sale of higher value species and relevant decision-making about natural resources. 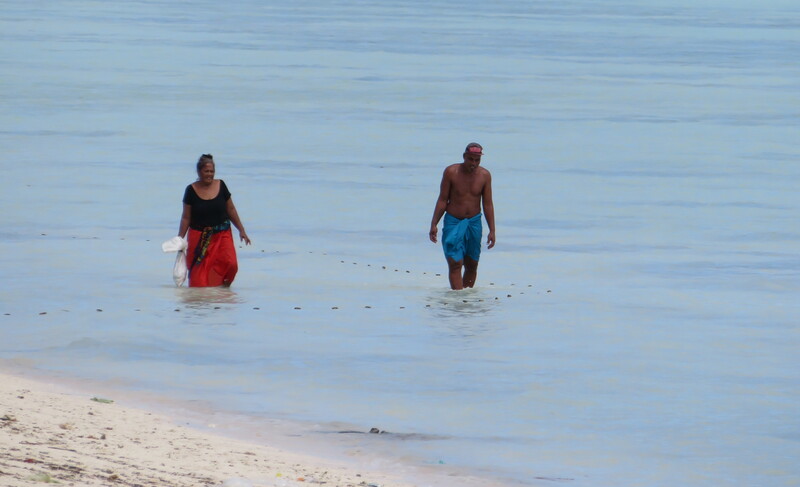 Identifying gendered work in fisheries and obstacles women and youth face todevelop sustainable livelihoods in fisheries is just one of many steps needed to broaden the benefits of fisheries to all.